Putnam Publishing Group, 9780399256332, 272pp. When twelve-year-old P.K. (Pinky) Pinkerton's foster parents are murdered by Whittlin' Walt and his gang of ruthless desperados, Pinky goes on the run and is forced into hiding with Ma's priceless last possession: the deed to a large amount of land and silver mines in the Nevada Mountains. 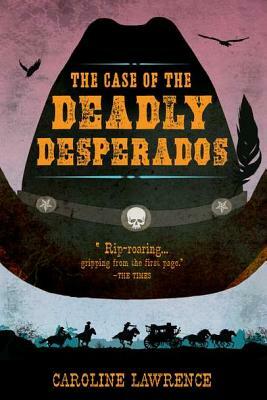 But relying on disguises will only keep Pinky hidden for so long, and the desperados are quickly closing in . . .
Narrated by the incredibly lively Pinky, this thrilling high-speed chase through the Wild West will keep readers on the edge of their seats until the very last page. Caroline Lawrence is an English-American author who was born in London and grew up in Bakersfield, California. She currently lives in London, England.